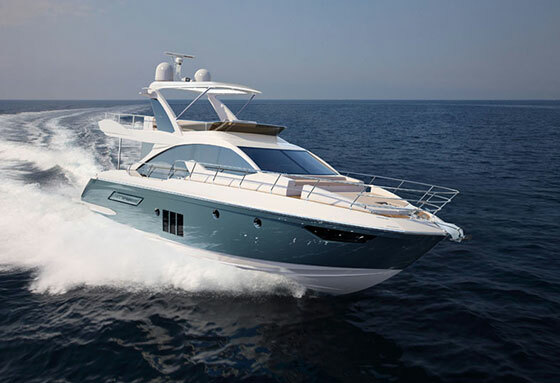 At the Qatar Boat Show 2014 Azimut will have on display five of the most representative models from the Flybridge and S Collections: among these the brand new Azimut 50 Flybridge will make its debut officially on Middle East market. November 2014. Azimut Yachts will be exhibiting five models and the new Azimut 50 Flybridge as a Middle East Premiere at the Qatar International Boat Show, from 11th to 15thNovember in Lusail City, at Mourjan Marinas along with a selection of its most iconic yachts. Over the last season the Gulf market has been characterised by a strong growth which allowed Azimut Yachts to double the sales in this area. Among the models on display: Azimut 55S, Azimut 72S, Azimut 60 Flybridge, Azimut 64 Flybridge as well Azimut 50 Flybridge. Azimut Yachts with its Dealer can rely on an active presence in the area with its offices in Dubai, Qatar and Kuwait in order to ensure, according with the company's philosophy, the highest quality of assistance and pre- and post-sales service to the owners.